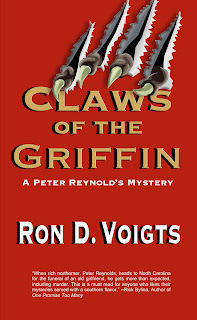 Claws of the Griffin is due out March 21 from Cool Well Press. 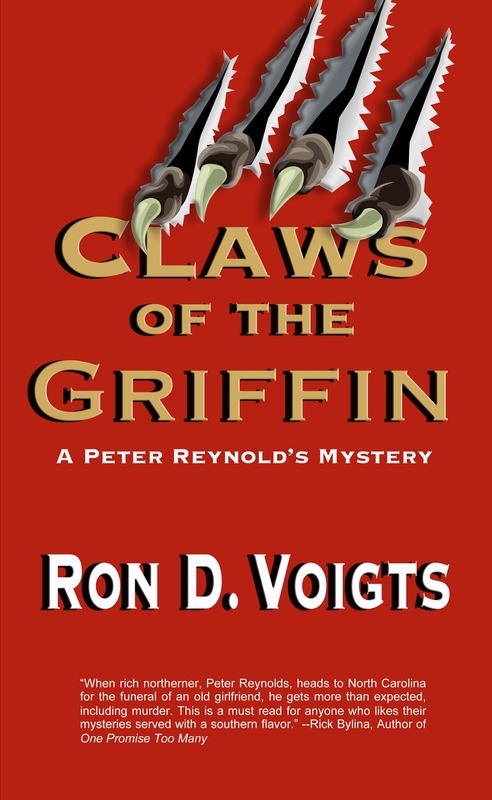 When an old girlfriend comes back into my life, things never go well—but when she’s also dead, they go horrid. My current girlfriend Ivy kicked off her shoes and dropped them by the front door. She tried to talk while I smothered her face with kisses. “Peter, you need a hobby. another button. After the third ring, Ivy slapped my hand and pushed me away. “Aren’t you going to answer it?” She buttoned her blouse and smoothed its fabric. “Mr. Peter Reynolds?” a deep voice said with a melodramatic tone. sold my company two months ago and for a tidy sum. and signaled her to stay silent.